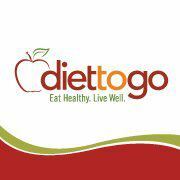 Diet to Go has been providing people with weight loss meal plans since the company was formed in 1991. The group offers many great foods made with various quality standards in mind. The simplicity of Diet to Go makes it a popular choice for anyone to review when finding something worth trying out for one’s dietary needs. Select the plan that you want to utilize. Details on the plans available are covered in the next section down. Select whether you want seafood in your plan or not. You can choose to remove seafood from your plan if you have allergy concerns relating to it. Choose between the men’s and women’s package. Men will consume up to 1,600 calories per day on the program. Women will have up to 1,200 calories per day. Women who are looking to lose 50 pounds or more will need to follow the men’s plan for the best results as it does better with handling the calorie needs one has. Request for meals for five or seven days in a week. Diet to Go offers a system where you can consume foods to your liking. This includes having the freedom to take weekends off if you wish. State how many meals you want to have in a day. You can go with two or three meals per day. The two-meal option does not include breakfast. You have the freedom to utilize what you wish during this point in the day. You will then select the meals that you want to use in your plan. You can stick with the weekly menus that Diet to Go is working with or you can choose to stick individual meals that you want to work with yourself. The meals that are available are diverse and cover all the health needs you might have. Diet to Go offers many foods for use although the options you have to work with will vary throughout the year. The Balance plan is designed with nutritional balance in mind. It is a calorie-controlled plan that does not include red meat or pork. The Balance-D program is for those who are looking for a diabetes-oriented solution. This includes working to keep one’s blood sugar levels in check. The key of this program is that the meals are made with less than 45g of carbs each. The Carb30-Keto plan focuses on proteins while offering fewer than 30g of carbs in a typical day. This is similar to what you would get out of the Atkins diet. The vegetarian plan is similar to the Balance plan but with no meats involved. The plan concentrates on healthy fruits and vegetables and proteins from many non-meat sources. Eggs and dairy are included in the plan, but you can remove them if desired as the plan is fully customizable to your liking. The diverse layout of plans is worth exploring. You can choose from many quality foods on any of the plans that Diet to Go has to offer. Start with a good breakfast if desired. Breakfast meals include a coconut parfait, chocolate zucchini bread and blueberry pancakes with turkey sausage. Have a good lunch featuring turkey meatloaf, turkey ham salad or chicken pesto salad. Dinners are full of many quality features including shrimp alfredo and chicken parmesan. The meals are packaged carefully with all the necessary sides included. You can find many great fruits and vegetables while on the program. Also, Diet to Go lists information on the meals that are included each week, but you have the freedom to stick with different meals at various times. You have full control over what you want to enjoy out of your meals with Diet to Go. The interface offered for helping you to find great foods is also easy to handle. The foods available in your program will vary based on the plan you choose. The Vegetarian menu includes options like a spinach quesadilla while the Balance-D menu has blackened salmon and eggplant parmesan. The foods offered by Diet to Go are all fresh and easy to enjoy. You can get more out of your diet with these foods from Diet to Go thanks to how they are made with organic and fresh ingredients. Everything available in carefully measured to ensure you get the most out of your weight loss needs. The meals are all packaged carefully and are easy to heat up in your microwave. You will have to keep your meals in the freezer before you prepare them. The layout of what Diet to Go has to offer ensures that you will get the most out of your weight loss goals no matter what they might be. The sides and condiments included will your meals will vary. You may find various whole grains or vegetables depending on the plan you enter into. Whatever the case may be, you will find solutions that are healthy with many including low-carb totals. You can expect to spend around close to $5 per meal or more on your package. It costs around $143 for a full week of meals through the program. This does not include shipping and handling. The weekly cost is reasonable when compared with other food delivery programs that you could get into. You can also find some promo codes online to help you get a better deal on the package. Diet to Go includes special offers like 15% off of your first order. The deals that are available will help you get the most out of your weight loss needs. Also, this works with no commitments required. You can cancel anytime without having to spend more than needed. There are no cancellation fees either. The timeframe for shipping will vary based on your location. It may take about two to five business days after your order for your foods to get to your property. This is a simple plan for shipping that is easy to follow. It does cost $19.98 for shipping in most cases though, so be sure to factor that into the price you pay for the service. The online support that you will get off of Diet to Go is important to explore. With Diet to Go, you can take advantage of a full team available to help you with all the special needs you have for getting the foods that you want. The simplicity that comes with Diet to Go makes for something you are bound to enjoy working with. You can not only contact the team by email or social media but also through a live chat. You can contact someone from the company at any time as needed. You can also get regular emails from Diet to Go. These include points on how to live a healthy lifestyle. The inspirational quotes that people provide to you are important. These help you to live by a good philosophy that you are bound to benefit from. Although the foods available through Diet to Go are fresh and diverse, you will have to get them delivered to your home. You will not be able to pick them up from any physical locations. Therefore, you would still have to spend money on shipping. Also, you would have to get your shipments for the program organized carefully so your foods can come to you at the precise times that you want to get them at. This would require a bit of planning to ensure that you get what you are asking for, but this can all be worthwhile when you get your foods stored after you get them. You will enjoy what Diet to Go has to offer for your weight loss needs. With Diet to Go, you can easily lose weight and keep it off over time. The layout of the program gives you the opportunity to lose more weight and to keep it off with healthy foods. The foods are all made with the best quality possible as well. Take a look at what Diet to Go has when you need help with getting your eating habits and needs under control.